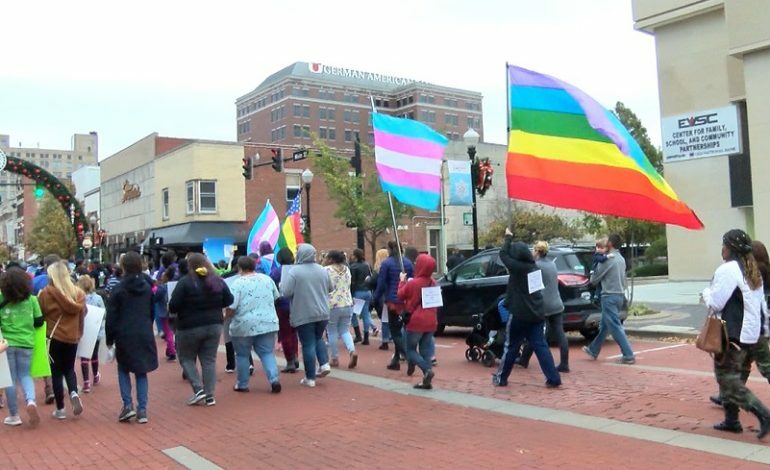 The weather did not keep folks from participating in the Children’s March in Evansville. Folks of all ages gathered in support of eliminating bias, prejudice, and bullying. They also met at the Four Freedom’s Monument to create signs for the “Love Not Hate Expressions Art Exhibit.” Through the voices of the future leaders of our community. “The Love Not Hate Expressions Art Exhibit” will be on display from November 4 to December 31 at various organizations around the city.